The author aims at providing a course of pure mathematics developed in the directions most useful to students of economics. 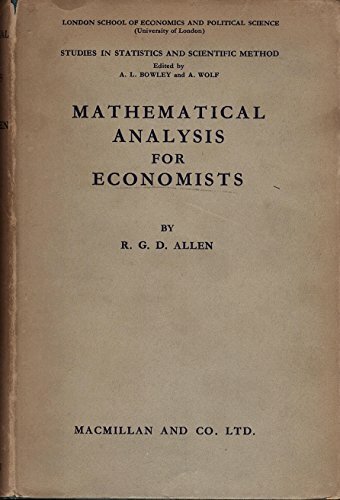 At each stage the mathematical methods described are used in the elucidation of problems of economic theory. Illustrative examples are added to all chapters and it is hoped that the reader, in solving them, will become familiar with the mathematical tools and with their applications to concrete economic problems. In this outstanding paper the author explains how cost accounting is the critical institution that ferrets out social waste, ensures that resources are directed to their most highly valued ends, and how entrepreneurs respond to price signals.